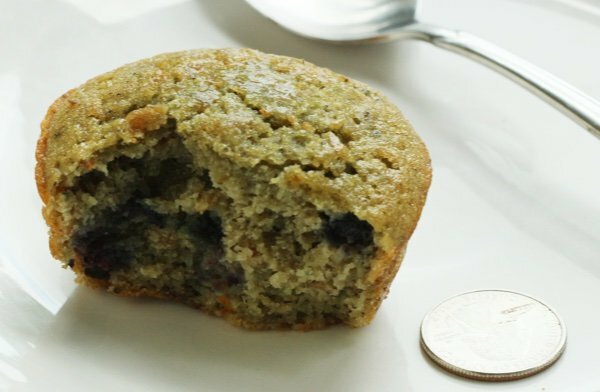 This Garden Lite muffin review is for those of you who don’t have a garden and don’t have time to make muffins. I get it. Shredding zucchini, getting out the pans, heating up the oven – who has time for that? You DO want a healthier muffin. I know that I have been working on healthy muffin recipes for years. Check out my latest if you have the energy to bake up a storm: zucchini breakfast muffins and healthy banana blueberry oatmeal muffins recipe. Garden Lites has come up with muffins that are gluten free and dairy free. You find them in your freezer section and they include blueberry oat as well as chocolate and banana chocolate chip. I was interested in giving these a try because they feature fresh zucchini and sometimes carrots! Could these be as tasty or as healthy as my homemade muffins? 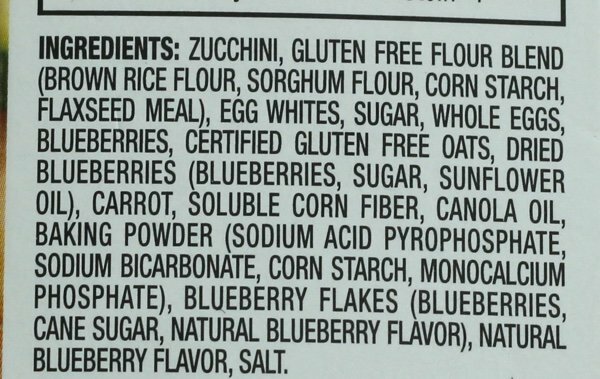 This image is from the blueberry oat muffin box and I immediately liked the fact that zucchini is the first ingredient. That is the way to create a healthier muffin. These are frozen and look as if they contain no preservatives. I was excited to try them. What? Chocolate?? 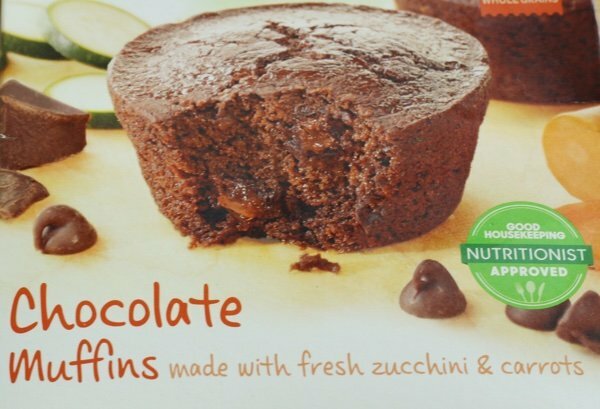 Can you make a muffin that tastes like chocolate and still use zucchini and carrots? It seemed like a long shot but I wanted to know if it was possible. I think that 11 grams of sugar is pretty good for a muffin. These tasted okay. 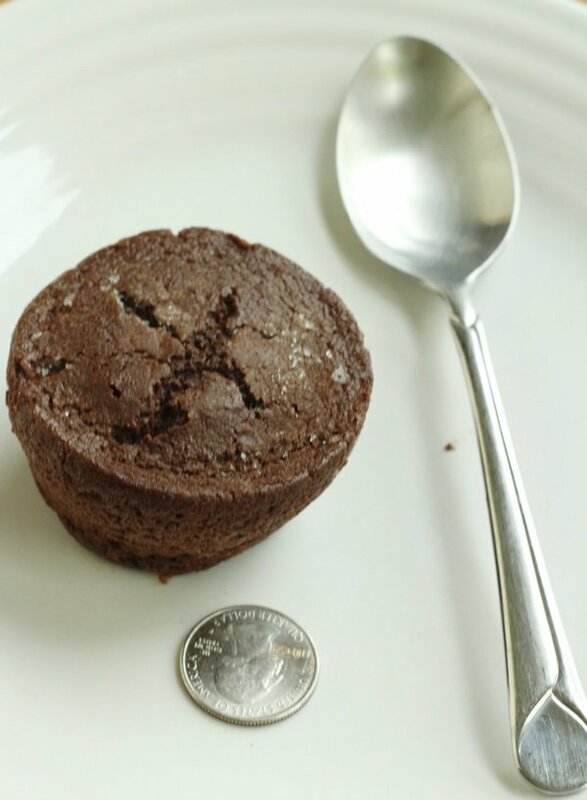 I found them a little dry and not as chocolatey as I would like – but if you are looking for a healthy chocolate muffin alternative – this is probably as good as it gets. You could also simply cut up a real chocolate chip muffin into 4 pieces and freeze the three leftover pieces to get a more reasonable muffin. I would not have been able to tell that these were gluten free. The texture was excellent (not gummy) and the taste was quite flavorful. It wasn’t so sweet that you couldn’t taste the blueberries. The downside is that these set you back about $4 per box (4 in a box) and one isn’t enough for breakfast. I like these in a pinch when you need a muffin but don’t have time to bake one. 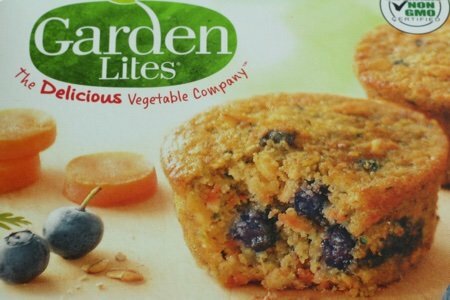 Check out Garden Lites Muffins for store information, etc. You find them in the freezer section near the gluten free breakfast items. In case you are wondering, I was not paid by Garden Lite for this review. I was genuinely looking for a healthy muffin that I could suggest to my readers. I recently made blueberry muffins and ended up eating 4 in one sitting! I think these would help me with portion control (already frozen and also the cost) and would be a nice addition to have with a bowl of oatmeal at breakfast. I'm glad to read this post. I have tried this brand but not t he muffins. I tried tome kind of soufflé and it was okay. I may try the blueberries one but I am really working toward eating no processed foods. Not easy for sure. I eat these often, the cranberry orange is my fav. But I only buy them at Costco, 18 or 20, was $10, now $13. I think the chocolate has a very chocolatey taste. Heat them in microwave from frozen for optimal taste. Sometimes I have a hb egg with them. I've said it before and I'll say it again. Lisa, your baked oatmeal makes great muffins! Also, the Slender Kitchen website has a great Healthy Cinnamon banana bread that can be turned into muffins. I know your goal is a boxed product here, but, just saying'. These look like they're not too bad but there's still so much sugar and processed ingredients!! Making your own muffins and using honey or pure maple syrup will always be worth the time to me :) I make big batches of 24 muffins at a time and freeze a bunch for easy breakfasts and snacks!